1) Slide the value for slope to the right. What happens to the steepness of the line? What value for the equation of the line is changing? 2) Slide the value for slope to the left. What does it mean that a slope is zero? 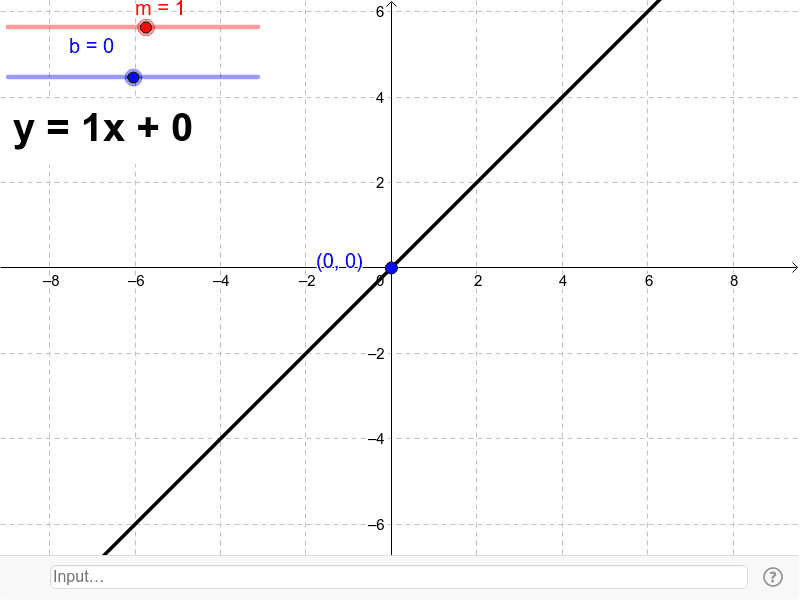 What does the equation of the line look like when the slope is zero? 3) Now slide the value for the intercept to the right, what happens to the line? What value is changing in the equation for the line? 4) Now slide the value for the intercept to the left. What value in the equation is changing?